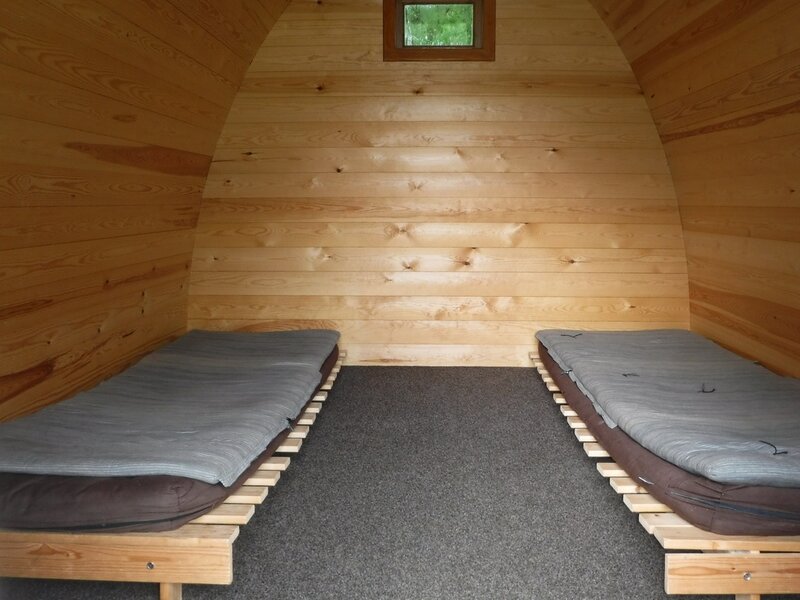 Our one and only compact pod offers all the fun of camping, without the effort of putting up a tent! It is a standard size camping pod and is an insulated wooden structure that provides comfortable accommodation for 2 . 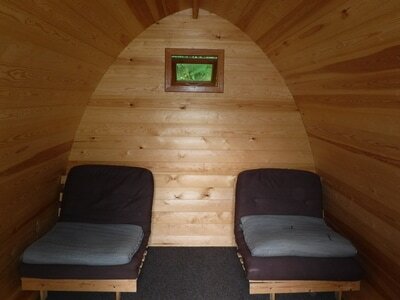 It has good headroom, a carpeted interior floor area and a porch to provide shelter. We provide two futon beds with foam mattress for sleeping on. (Hot tub is NOT available with the pod). Please bring your own camping and cooking equipment, bedding, sleeping bag / duvets bed linen and towels. 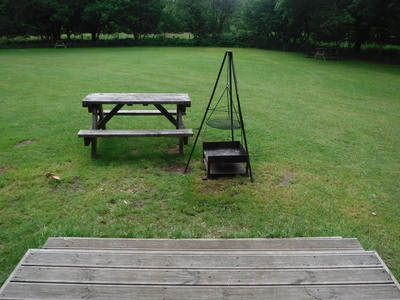 The Pod has timber decking, picnic table, firebox and cooking tripod. 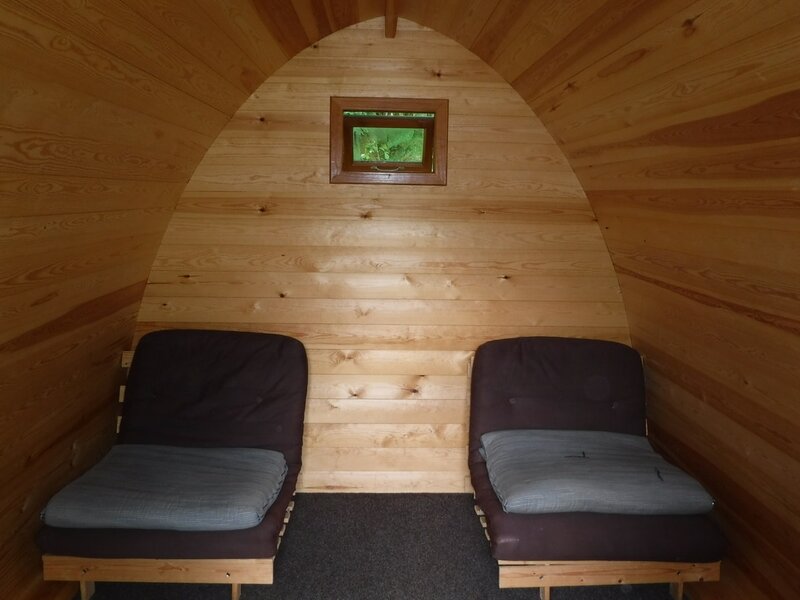 The lockable French doors are double glazed, and together with the insulation and oil electric heater mean that the pod is really nice and cosy whatever the weather. 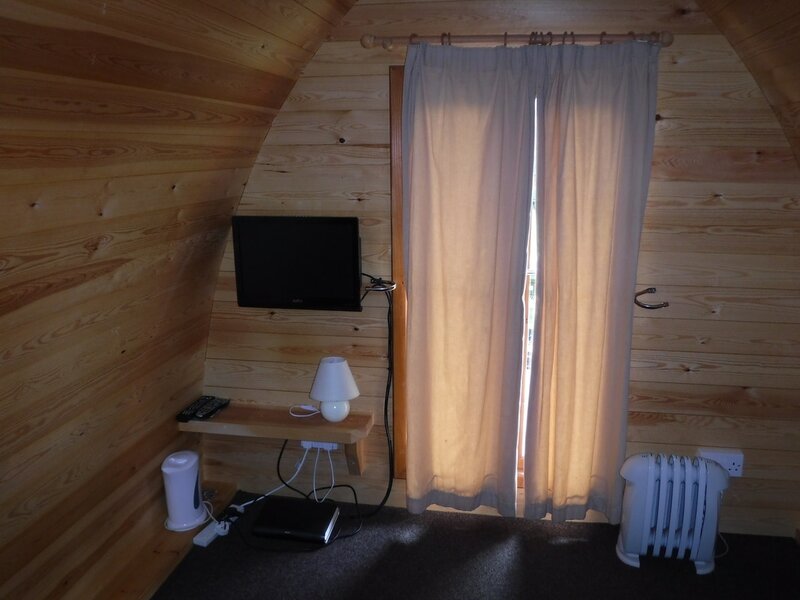 There is a small window in the back wall to provide light and ventilation, a bed side electric lamp, free-sat television and electric sockets. Please note that cooking is not allowed inside the pods. 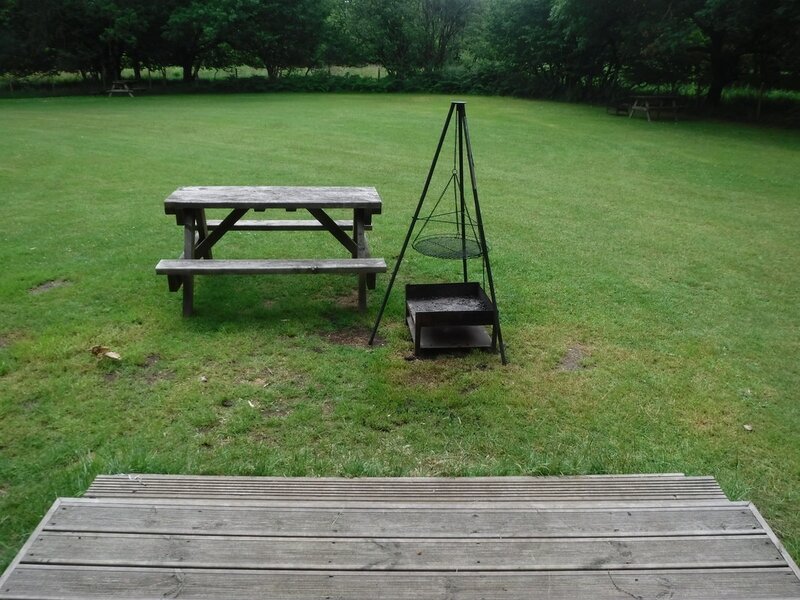 Nor should hot items be placed on the timber decking. 10-amp electricity is included in the price while the toilet, shower and washing up facilities are shared with other campers. Don't forget your torch. There is NO MOBILE reception but there is a payphone. Wifi is not available inside the pod but you can access it in the top field. £40 per night for two persons.